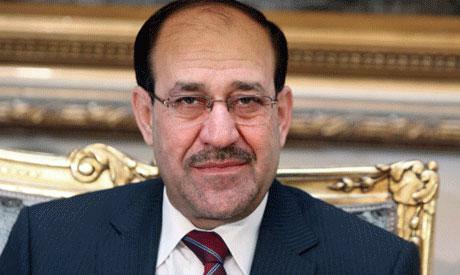 Iraqi Prime Minister Nouri Al-Maliki has congratulated Egypt on approving a new constitution that guarantees a safe future for the country. Al-Maliki said on Sunday that the overwhelming support for the constitution shown in polls reflects the Egyptian people's strong will to reject violence and terrorism and strive for peace, stability and freedom. Egypt's new charter was officially passed on Saturday when the results of a referendum were announced, showing a 98.1 percent approval rate and a 38.6 percent turnout of voters. The main opposition to the national charter, the Muslim Brotherhood and its allies, boycotted the vote and declared the transitional process illegitimate. Al-Maliki described the new constitution as a great achievement and said he looks forward to Egypt's prominent role in the region.